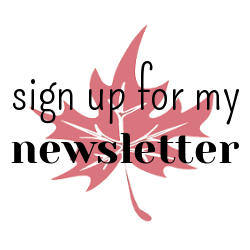 Maple Leaf Memories: It's time to Sale-a-brate!! Happy New Year to you all!! I hope you have had a good 2016 so far? Well trust me, it's about to get even better!! The new Spring/ Summer catalogue from Stampin' Up is now available! It is jam packed with gorgeous goodies for all your crafting needs. Here are just a few of my favourites product suites. But there's more!! 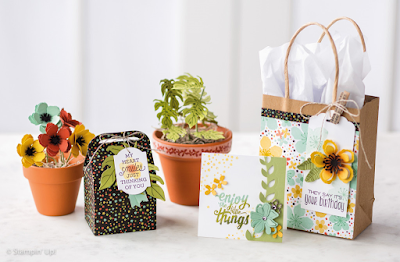 Stampin' Up's biggest event of the year has now begun!! 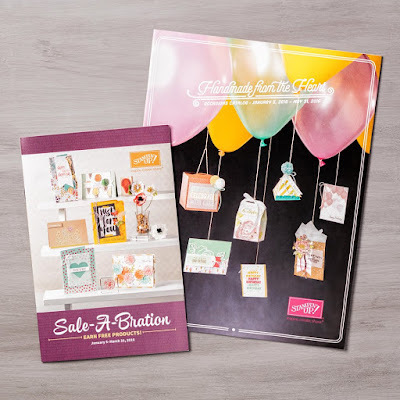 During Sale-a-bration, there are 3 great ways to earn free product!! 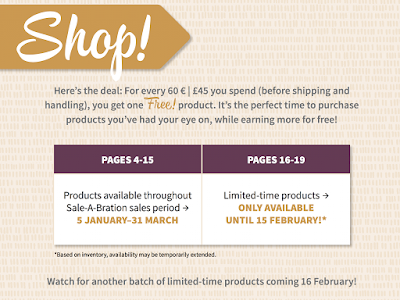 For every £45 you spend (before shipping) you get to choose a product from the Sale-a-bration brochure - for FREE!! Spend £90 and get 2 FREE items, and so on. The link for the Sale-a-bration brochure can be found in the sidebar or have a look at the table below to see the range of FREE products available. 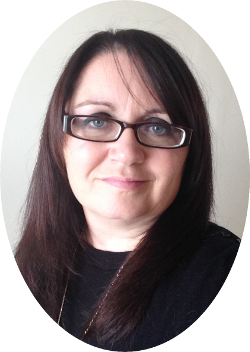 TOP TIP >>>some items are only available for a limited time, make sure to get these early!! Watch out for new items coming in February!! If you've been thinking about joining Stampin' Up, now is the time to do it! 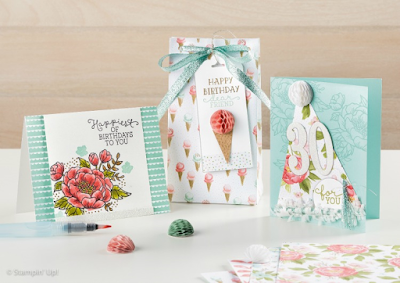 During Sale-a-bration you can become a demo for just £99 but choose a whopping £160 of product from any of the current catalogues as your starter kit. That's an extra £30 on top of the usual kit price! And there is FREE SHIPPING on your kit! You will also benefit from a discount of at least 20% off future purchases as well as FREE prorducts for every £45 spend during Sale-a-bration! Join now and you will have until the end of July to meet your quarterly minimums. Now is a great time to get together with friends and family and book a private class or workshop. There is an extra £20 in Stampin Rewards for qualifying workshops of £200 or more. This offer isn't just for hosting a workshop. 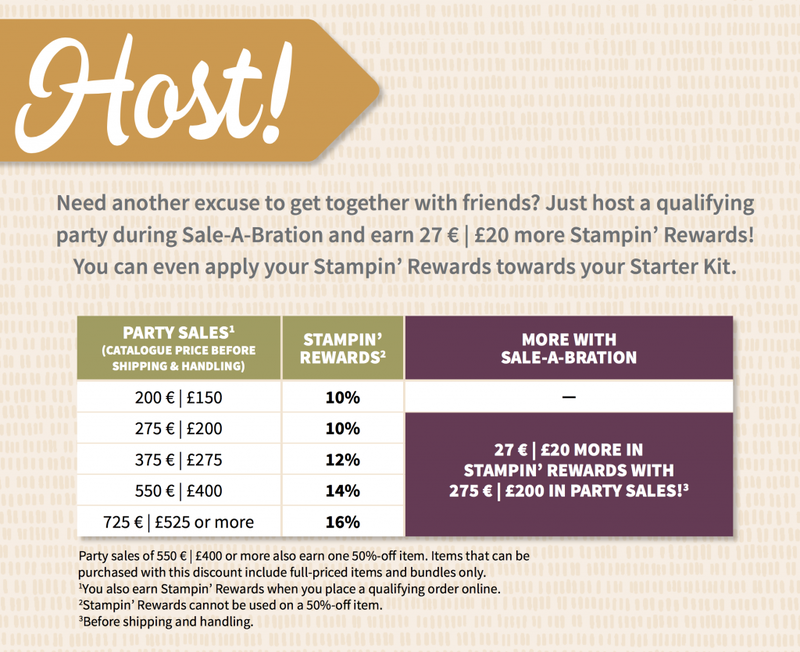 Customers placing an order over £200 will also earn the extra £20 in Stampin' Rewards on top of the usual rewards. 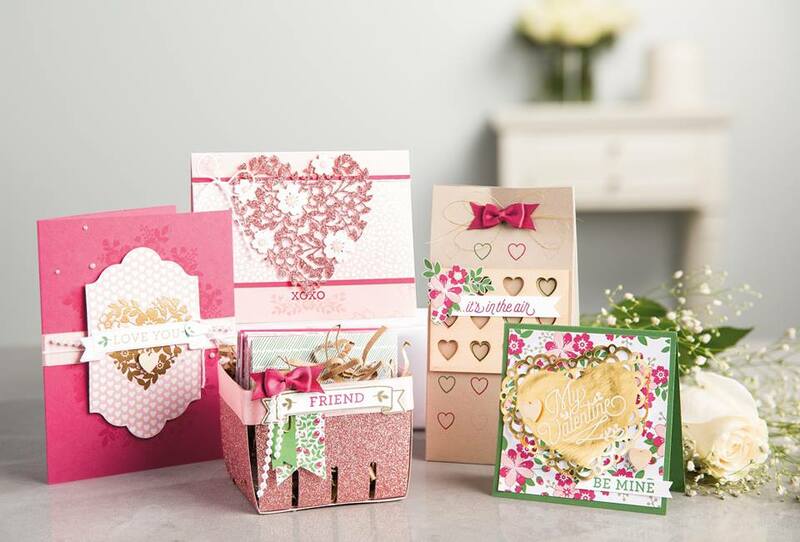 a £225 order earns 10% Stampin Rewards = £22.50 plus £20 EXTRA Stampin' Rewards = £42.50 + 5 FREE SAB items of your choice!! 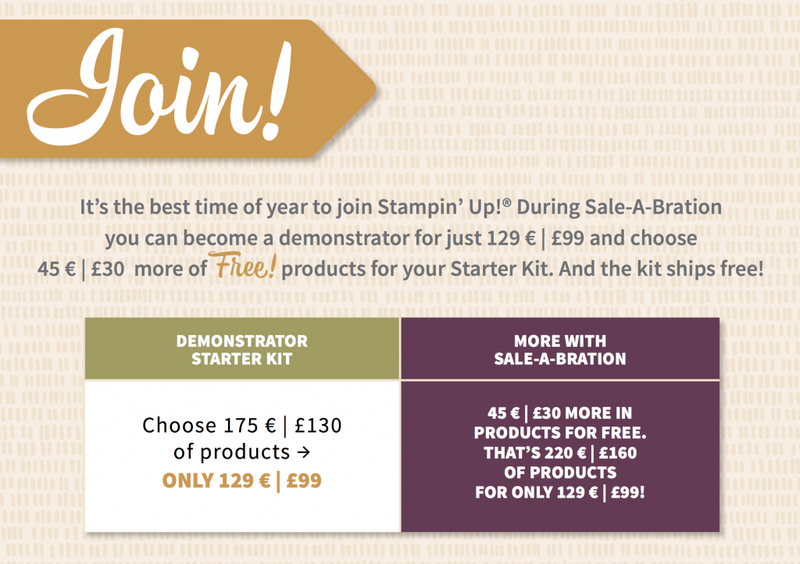 TOP TIP >>>>>You can use your Stampin' Rewards towards the purchase of the starter kit and become a demo yourself to benefit from the generous discount. If you have any questions about any of the great offers available during Sale-a-bration, just let me know. Don't forget to use the Hostess Code for January when ordering which is FUDQ7AEQ so you can receive free product from me.